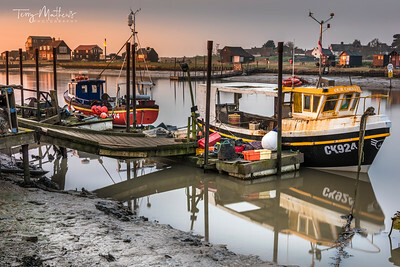 Fishing boats moored alongside the pontoons on Blackshore in Southwold, Suffolk, at dawn in mid March. 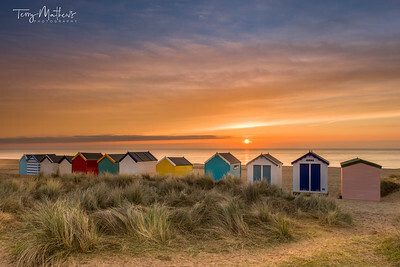 On a calm dawn in mid March, the sun rises over the famous line of beach huts on the dunes at the Suffolk seaside town of Southwold. 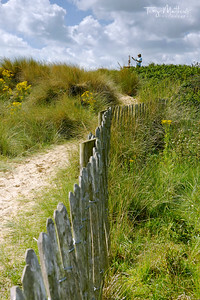 File captured using Nikon D3x and premium grade Nikon imaging equipment - processed using NX2/CS3. 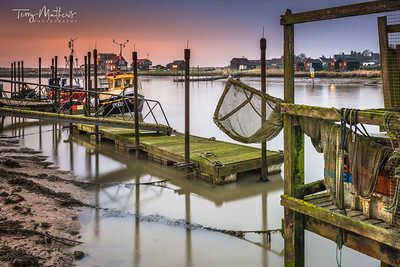 Fishing nets hang over the pontoons on Blackshore in Southwold, Suffolk, at dawn in mid March. 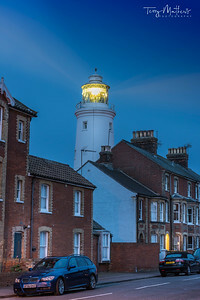 The Lighthouse at Southwold in Suffgolk stands in the middle of the historic town and is operated by Trinituy House. 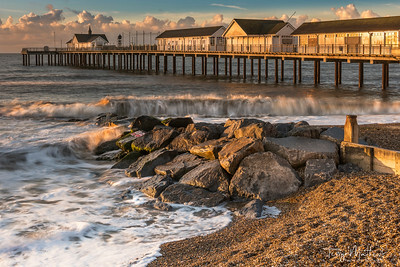 The sun lights up the Pier in the popular Suffolk seaside town of Southwold on a stormy morning in early August. 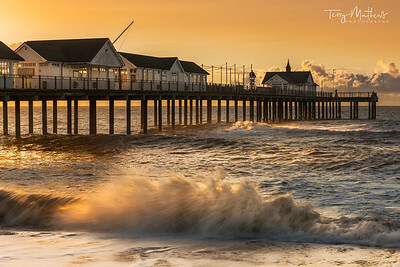 On a stormy morning in early August the sky turns orange as the sun rises behind the Pier in the popular Suffolk seaside town of Southwold. 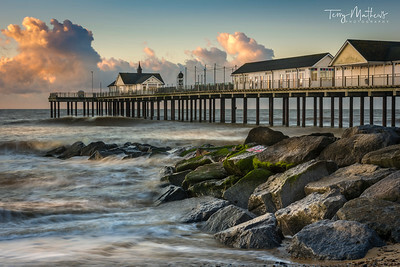 The Pier on North Parade in the popular Suffolk seaside town of Southwold on a stormy morning in early August. 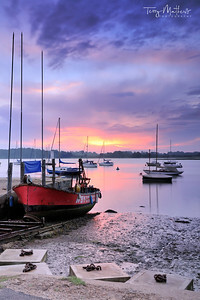 An image of small boats against the first rays of an estuary sunrise. 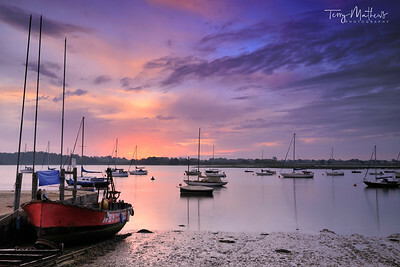 Image captured using a Nikon D3X, Nikkor 24-70mm f/2.8 and Lee ND Graduated Filter. 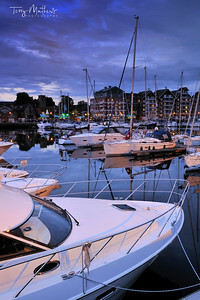 Processed using DXO and CS3. 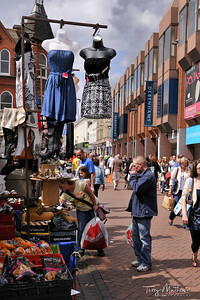 An image of the market stalls at Ipswich market. 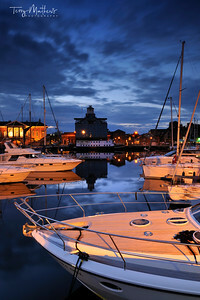 Image captured using a Nikon D3X and Nikkor 24-70mm f/2.8 ED. Processed using DXO and CS3. 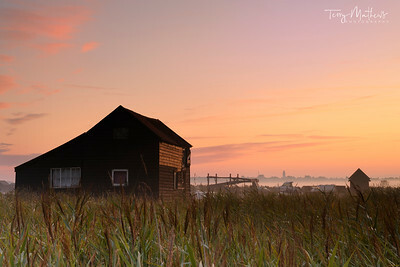 An image of sunrise over the wooden huts on the Walberswick side of the river Blyth, looking towards the Lighthouse in Southwold. 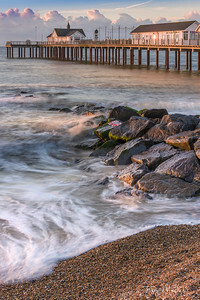 Image captured using a Nikon D3x, 24-70 f/2.8 and Lee Graduated ND filters. 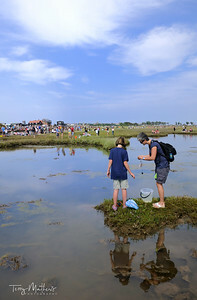 Processed using DXO and CS3. 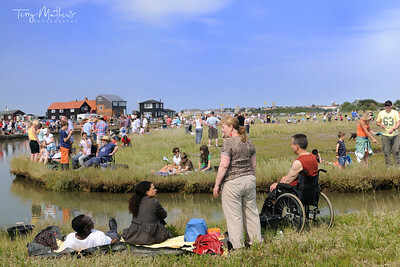 An image taken of the diverse crowds attending and competing at the 2009 Annual World Crabbing Competition at Walberswick, Suffolk - England. 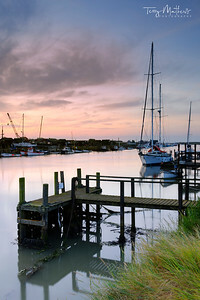 Image captured using a Nikon D3x, 24-70mm f/2.8, B+W Polariser and Lee Graduated Filter. processed using DXO and CS3. 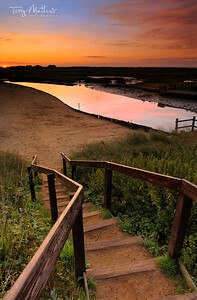 An image of a colourful sunrise over the Walberswick estuary. 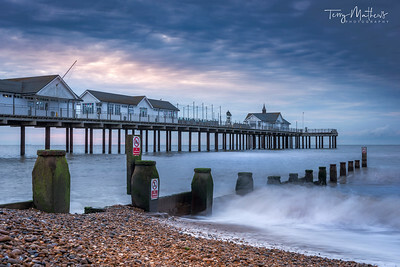 Image captured using a Nikon D3x, Nikkor 24-70mm f/2.8 and Lee ND Graduated filters. Processed using DXO and CS3. 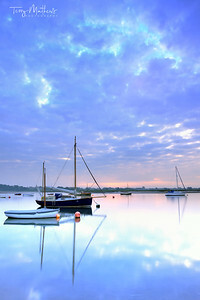 An image, taken at dawn, of the small harbour on the River Deben at Waldringfield, Suffolk - England. 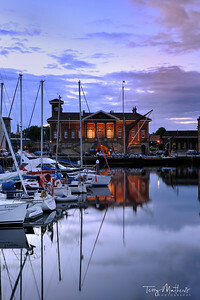 Image captured using a Nikon D3X, Nikkor 24-70mm f/2.8 and Lee ND Graduated Filter. 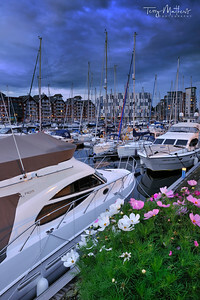 Processed using DXO and CS3. 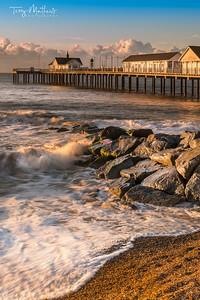 The sun lights up the Pier in the popular Suffolk seaside town of Southwold on a stormy morning in late July. 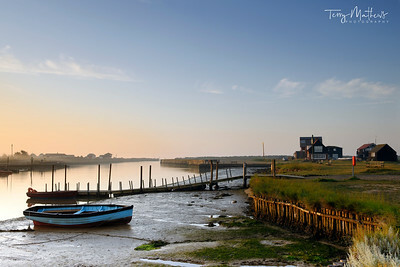 An image of a wooden jetty on the River Blyth at Walberswick - Taken at dawn on an August morning. 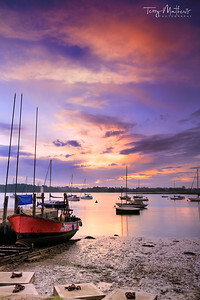 Image captured using a Nikon D3x, Nikkor 24-70mm f/2.8 and Lee ND Graduated Filter. Processed using DXO and CS3. 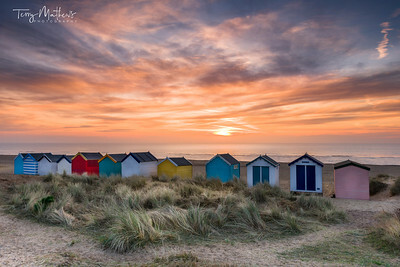 After a cold clear night, there's a beautiful sunrise over the famous line of beach huts on the dunes at the Suffolk seaside town of Southwold. File captured using Nikon D3x and premium grade Nikon imaging equipment - processed using NX2/CS3. This image is available in various file formats / resolutions as required.